Supreme Committee for the supervision of Retail (Groceries) Sector Reorganizing Project (Baqala) has launched first grocery that implemented new standards and requirements pertaining to regulating retail business activities of groceries in AlAin. “With the launching of the first grocery with new standards specifications, our progressive face is going to be highlighted more across the emirate and our consumers will have the chance to enjoy high-class services” said Thamer AlQasemi, spokesperson for the project. He said the project is the end result of the continuous joint work between various entities such as Department of Economic Development (ADDED), Interior Ministry, Abu Dhabi Food Control Authority (ADFCA) and Department of Municipal Affairs & Transport. AlQasemi said the project comes after having conducted extensive studies about the nature and activities of the retail sector. According to him new standards include implementation of a standard shape for all groceries which will be attractive to the consumer, qualitative food storage procedures that ensure food safety and health and that end the stacking of food materials on shelves in addition to standardizing workers’ uniform as well as giving a unified logo for all groceries operating inside the emirate. 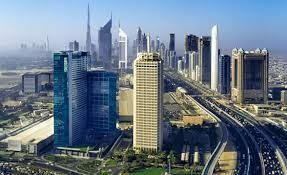 “The new set of standards is considered a global best which can attract new international retail players to Abu Dhabi, to create investment and job opportunity for UAE citizens in addition to allowing smooth regulation of the sector by identifying and categorizing the economic activities. It also paves the way to apply food control and hazard-based food inspection systems, regulations and guidelines that make the reorganizing mission smooth and ensures the overall development of the sector. Mohammed Muneef Al Mansouri, Executive Director of Abu Dhabi Business Center under ADDED said the implementation of new standards is applicable to all groceries and related businesses that request for renewal of their trade licenses. He said there are 900 trade licenses are there in the grocery sector in Al Ain and all these businesses need to implement the new standards before renewing their licenses. 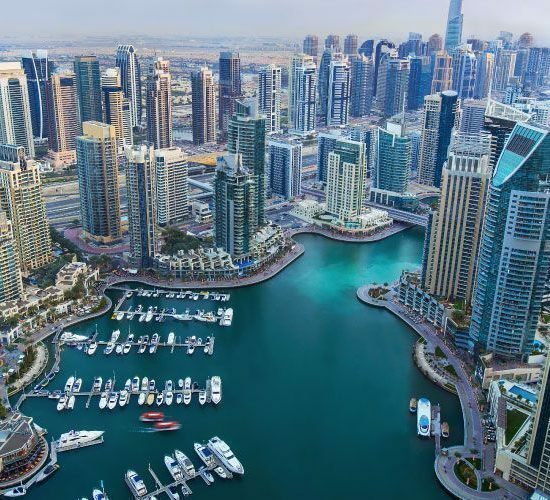 According to him, during the procedures for renewing the trade licenses, there will be inspections in coordination with ADFCA and the Municipality in order to ensure that the concerned grocery is complying with new standards and criteria. He said the changes brought in the groceries in Abu Dhabi city before has indeed contributed in the increase in the business following high consumer acceptance to new shape and style that kept pace with the civilization and advancement coupled with the improvement in the quality of service delivery that relied advanced technologies and equipment. According to him groceries are one of the main and vital hubs of retail business in Al Ain city which are having good consumer acceptance which in turn necessitates special focus and attention by the authorities including the Department of Economic Development. He praised the concerted efforts carried out by various government authorities to develop and implement new global standards in the grocery filed which eventually contributed in the quality of services, quality of food stuff storage measures, general appearance, standard uniform system, unified branding, high consumer acceptance and in increase in the business turnover. He said the supreme committee for the project has faced several challenges in developing and implementing new standards but the experience in the Abu Dhabi city considerably helped to eliminate the hindrances. Asserting the importance of education and awareness before launching such changes, he said a workshop was conducted at Al Ain Municipality targeting grocery business men in the city in which 600 participated. According to him the participants were educated on the whole aspects of the projects presenting Abu Dhabi experience as a model and giving a special thrust on the importance of having required space inside the shops and the masseurs to be taken to keep the stuffs in a scientific and healthy manner. Al Mansouri said that ADDED team in Al Ain will carry out inspections collaborating with other concerned entities for the next one year continuously, to observe the level of implementation of new standards and specifications in the groceries and their response to the new changes. It is learnt that the supreme committee for the project has recently organized a workshop in Madinat Zayed in Western Region to introduce new standards and criteria being part of expanding the project in the area. 175 businessmen participated in the workshop representing 186 groceries distributed across the Western Region.